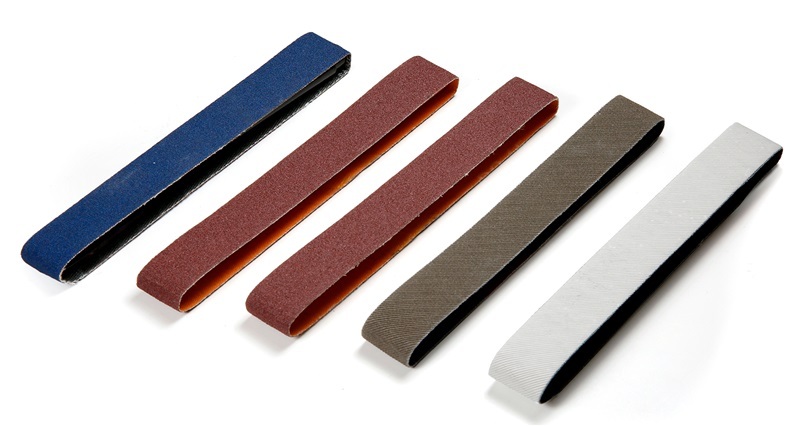 The Master Belt Kit has 1 Blue Extra Coarse Belt, 2 Standard Red Coarse Belts, 1 Grey Medium Belt and 1 White Fine Belt. These are replacements for the ones included in the Upgrade Kit for use with the East and West Guides. Used in specific combinations with the 15° and 20° Angle Guides in the Upgrade Kit, these belts produce optimal results on both Eastern and Western style knives.